Let’s look at the four-hour chart. Tenkan-sen line is below Kijun-sen, both lines are horizontal. Chinkou Span line is below the price chart; current cloud is descending. The pair has broken down the cloud and is consolidating below it. 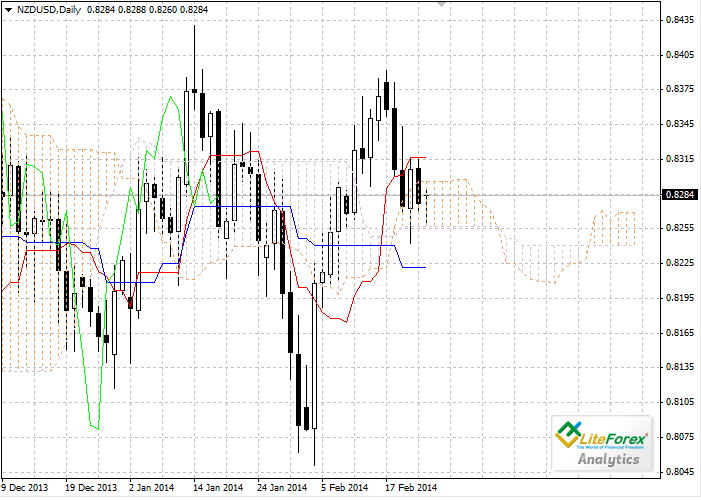 Tenkan-sen line is the closest resistance (0.8287) level. One of the previous minimums of Chinkou Span line is expected to be a support level at 0.8257. On the daily chart Tenkan-sen line is above Kijun-sen, they are both horizontal. Chinkou Span line is following the price chart; current cloud is ascending. The pair is trading within the cloud and between Tenkan-sen and Kijun-sen lines. 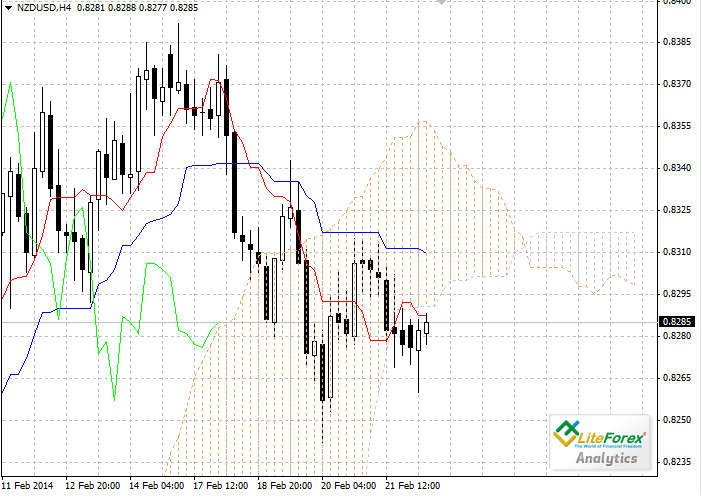 Borders of the cloud have become support (0.8257) and resistance (0.8296) levels. On the four-hour chart we’ve got a signal to sell, however, on the daily chart the pair is within the cloud. Target for the short positions is 0.8257.